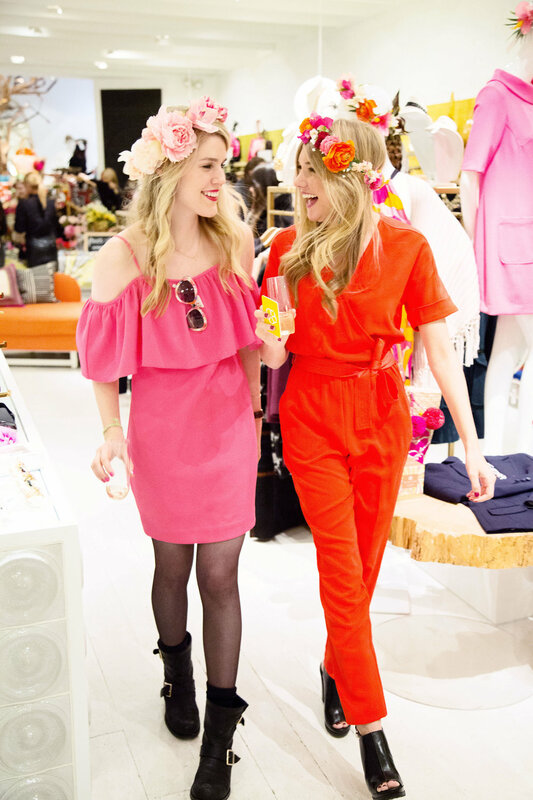 I was so excited to host this event because I got to host alongside one of my favorite ladies Christy from Crowns By Christy, at one of my favorite stores! What could be better!? 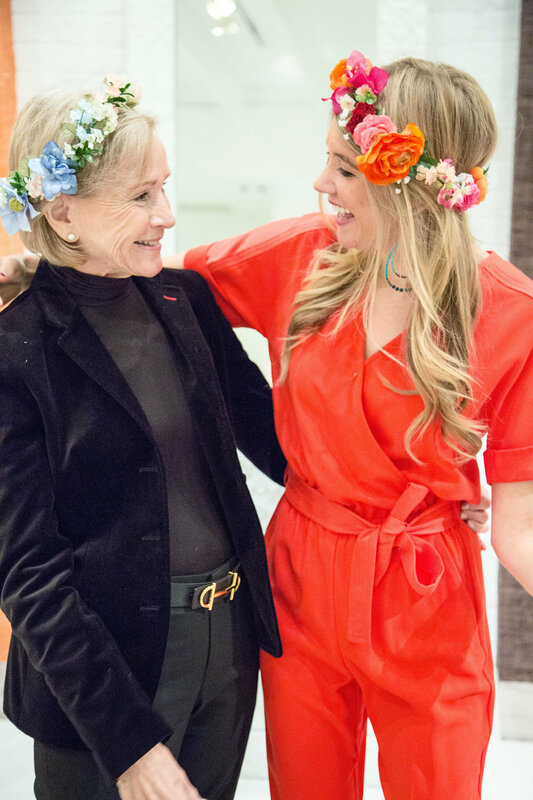 I met the flower crown maven through my photographer Meg Niemann of MSN Photography when I first started the blog. I had seen that Meg and Christy had worked together a bunch of times, and I just flipped out over the aesthetic of her flower crowns! Christy is so beyond creative, and is really wonder woman when it comes to creating headpieces and floral arrangements. She makes everything she does look so effortless, and always has a smile on her face. She has been such a dream to work with, and I strongly admire her tenacity and persistence in this industry! 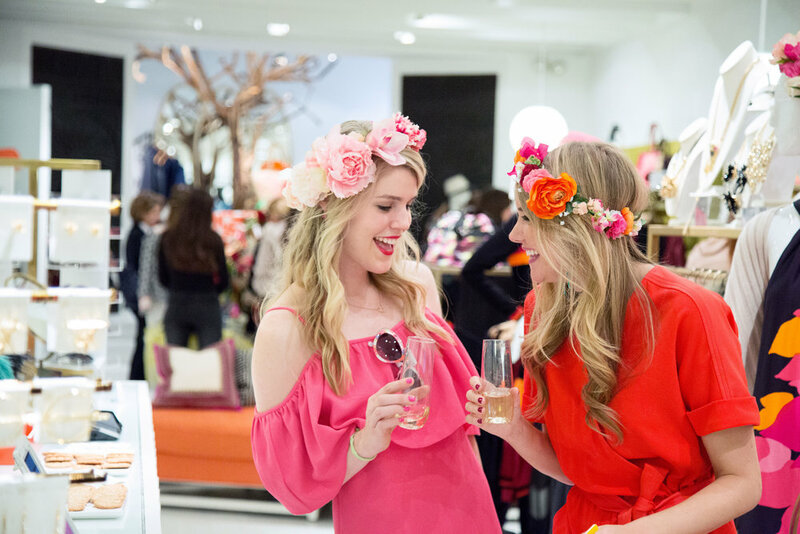 We had the most fun sipping champagne, hanging with new and old friends, and shopping the Trina Turk resort/holiday wear all night long! The employees at Trina Turk Meatpacking are honestly the best! They are supper sweet, and extremely helpful with everything! I can go on and on about them... seriously! I look forward to working with the Trina Turk team again very soon!